The typical news audience has changed significantly since the days of Walter Cronkite. Today, more and more people are turning to social media to get their news, as opposed to huddling around the TV set at dinner time to catch up on world events. The global reach and immediacy of Twitter has meant that news agencies are expected to post breaking news as it happens, and most news agencies around the globe are doing a pretty good job with that. However, there are some news agencies that realize the power of social media lies in its interactivity and engagement. Here are four examples of news organizations that go beyond simply broadcasting the news; these are news organizations using Twitter right! When news breaks anywhere in the world, there will likely be someone tweeting about it locally before any news organization has had a chance to pick up on the story. For example, immediately following the March 2011 earthquake in Japan, people began tweeting about an impending tsunami. 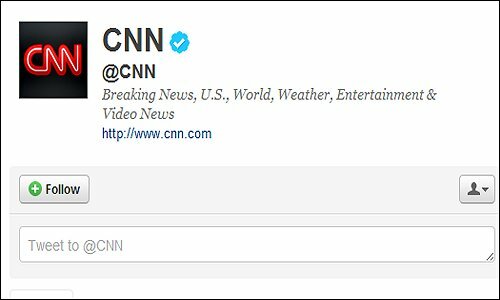 Upon reading these tweets, many people immediately turned to CNN’s Twitter account (@CNN) to verify the magnitude of the quake and to make sure the news about the tsunami was correct. Sure enough, CNN had links to stories and reporters on the ground in Japan who not only verified the awful truth of the breaking news but who also provided accounts and updates of the events as they unfolded. Given its reach and immediacy, the CNN Twitter account has become Twitter’s unofficial fact checker. In other words, many people will now check with the @CNN Twitter account to see if a breaking news tweet is real, before they retweet it to their followers. It was once said that the sun never set on the British Empire. To this day, the official national news organization of the United Kingdom — the BBC — is still a resource that people from all of the world rely on for their news. Its U.K. based Twitter account (@BBCNews) posts regional information and stands out from its competition by including more engaging content than simply the news headlines. The @BBCNews account mentions some of the people who appear in its stories in an attempt to engage the newsmakers with the news readers. 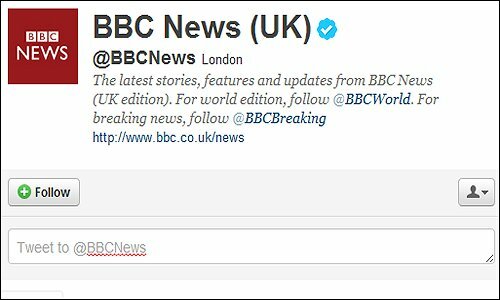 This account makes it easy to connect with its real-time and global counterparts by listing live links to the @BBCWorld and @BBCBreaking news accounts right in the bio. For more in-depth coverage of the news, there’s a link to the main BBC website in the bio as well. The NBC News Twitter account (@NBCNews) also employs retweets, mentions, and hashtags. What’s unique about this account is that it links to the personal accounts of three people who tweet under their own names on behalf of NBC News. For example, NBC News invites readers to connect with Ryan Osborn (@rozzy), a digital media specialist for NBC News who expands upon the stories covered by engaging directly with the readers. 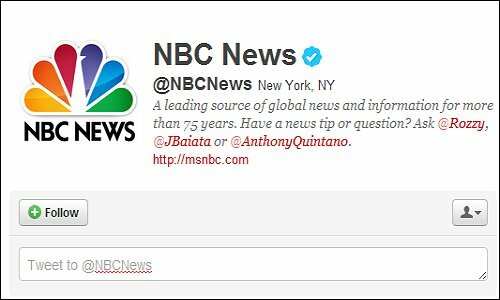 NBC News also encourages people to connect with Senior Editor John Baiata (@JBaiata) and Community Manager Anthony Quintano (@AnthonyQuintano). These accounts have a small enough follower base that you can engage these well connected NBC News resources simply by sending them an @reply on Twitter. This strategy of including tweets and interactions from real people provides a tangible example of “personalizing the news” for the readers and followers of NBC News. And speaking about personal news, what could be more personal than interacting directly with your local newspaper? More and more local papers are devoting some of their editorial and management staff to engage readers directly on Twitter. 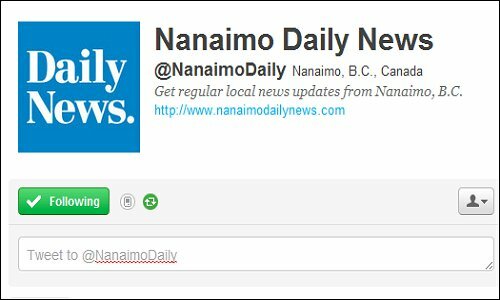 In fact, many local newspapers are now using Twitter in “reverse” — they’re asking their Twitter followers for story ideas! 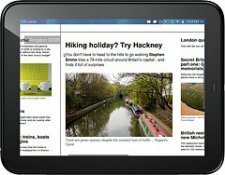 Some social media savvy newspapers have taken the lead in building a social media community for their readers by including local hashtags in their tweets, or including localized Twitter widgets on their websites. The next time you pick up your morning paper, look inside the front page for any reference to the paper’s Twitter account, or search for the newspaper online using Twitter’s advanced search. If you find a local paper on Twitter, let your followers know about it too. After all, there is still some truth to the saying (and perhaps now more than ever): All news is local. What are some of your favorite news organizations on Twitter? Let us know in the comments below.